Whether you are going out on a hot date or meeting your girlfriends for drinks, if you have a bad hair day, your entire night may blow. 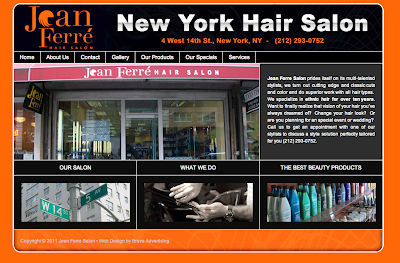 No matter if your hair is wavy, curly or almost straight, the skilled hair stylists at Jean Ferre Hair Salon in Greenwich Village can help combat any hair disasters, thanks to a $15 blow dry - worth $25, a savings of 40%! Armed with a blow dryer and flat iron, these stylists are ready to tackle your mane and get you ready for a night out on the town.